I love the guys at loganville auto center !!! Brian and his crew is always getting down to to what's wrong with your vehicle. They will never tell you that there's something wrong and it's not . I will always take MY vehicle to them . 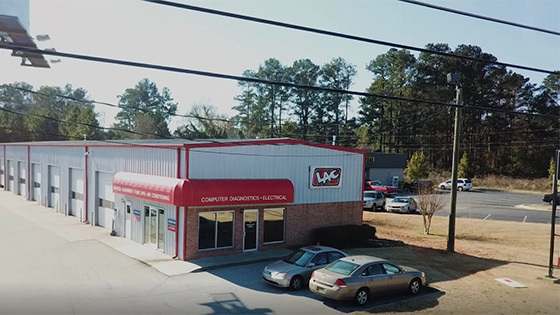 Loganville Auto Center is a family owned business delivering honest and professional auto repair and maintenance services to the customers of the Loganville, GA and surrounding areas. Our ASE (automotive service excellence) professional technicians utilize today’s latest automotive technology and are equipped to handle all major and minor repairs on foreign and domestic vehicles. Because Loganville Auto Center is a certified NAPA AutoCare Center, we are able to provide the benefits of an established national entity while maintaining the personal touch of a family owned business. We understand that your vehicle is a major investment, and that is why we care for each customer’s vehicle as if it were our own. Stop in and visit the cleanest and most professional shop in Loganville, Georgia. and help us get to know you better! How often should I rotate my tires? What should I do if my car starts to overheat? When should I get my oil changed?